Bio: Dr. Primus is a ██ year old male, with his doctorate in Aerospace Engineering. He has been described as eccentric, but dedicated - although many around Site 55 have admitted to some concern for his sanity. Employment History: Dr. Primus has only been with the Foundation for a short amount of time, being assigned to SCP-2917 only shortly after Event 2917-A. He was directly involved in the reconstruction of Site 37, but only a few months later was assigned to Site 55, as the researcher in charge of a few Safe-class anomalies. Dr. Primus climbed the chain of command abnormally quickly, eventually being promoted to his current position as Site 55's head researcher. You know what? Screw it. that's enough in-universe babbling. 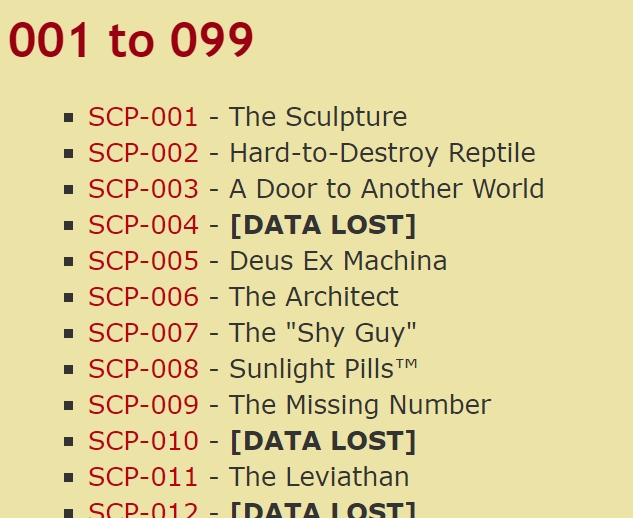 You've found your way into my personnel file, so I figured I'd give you a rundown on a few of my SCP reports, and the process that went into writing them. This shouldn't take all that long, so click through some of the tabs below, and let me know if you like what you see! I'll attach a chart of my skips here too. Series 1 has loads of my favorite pages on the site, and my SCPs tend to involve bringing a little bit of the feel of the old stuff into the newest series (Read: I'm not confident enough to pull off grand story-based skips yet). So read on, and see what I have to offer! I'm excited to know what you think. Oh, and here's a link to my Sandbox Page. This was my first SCP. I'd been reading the site for about three years, more or less, before I finally decided to create an account and try my hand at writing my own skip. Went through the incredibly valuable guides, registered, made a sandbox page, and started writing. The idea started out as a kind of a horror thing - exploring the concept of being left, stranded and alone, on an alien world with zero chance of rescue. This is not what got published. That's mostly because I'm not a good enough author to deal with putting much emotion into my work. I can totally nail the specifics, which is important - I can make a skip look like a plausible piece of technical writing - but actual emotion and personality is something I can't easily do. It's one of my limitations. Then I started exploring some more stuff. The focus was now on meticulous study - on the Foundation working out exactly how this thing works, what it does, and what makes it suddenly shift its target planet. I published that. And it got some wonderful criticism. I'm not being sarcastic, it was really good critique. I published a rewrite about a week or two later, but at that point nobody saw it because it had moved off of the "new pages" list. If you read it back then, I'd advise you go take another look. Maybe I turned a downvote into an upvote somewhere! My second and most popular SCP. This one has a bit of a story with it. It had, at this point, been about a month since I published SCP-2917. I wanted to write another skip, but I just couldn't come up with a viable concept. I played around with a pen that makes anything you write with it true within a certain radius, but then I was alerted to something very similar - and it was an 001 proposal to boot. Anyway, I got bored in physics class. I started thinking back to some really basic stuff - namely Newton's Second Law. I started contemplating what I knew about forces and what would happen if you messed around with some weird numbers. An object with infinite mass would just sit there. 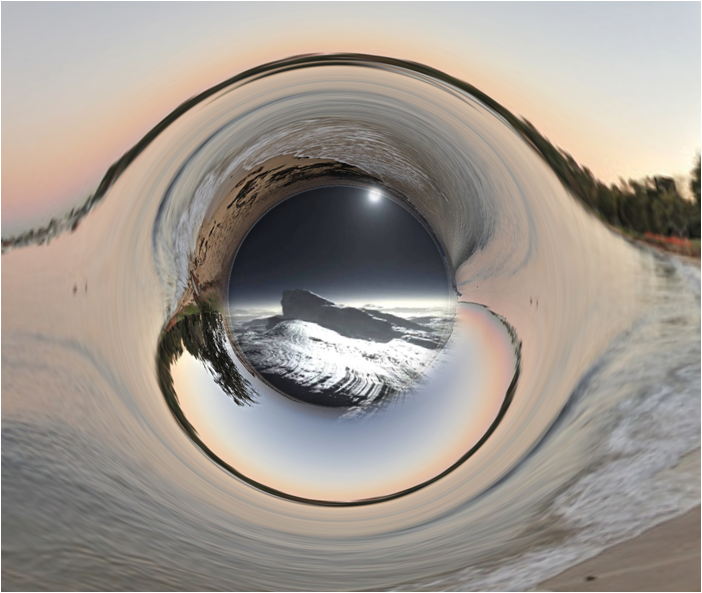 Also it would turn into a black hole, but what fun is that? An object with zero mass would, interestingly enough, resist motion as well, as long as it was in atmosphere. If there was any force at all on all sides, it's a balanced force. You can't get it to move relative to earth, because there's always some teensy atmospheric pressure opposing you. If you had it in space though, it would accelerate to C instantly and then keep going - at least until it touched a neutrino. An object with negative mass though… that could be fun. That could be an SCP. I could write that. And I did. I was meticulous. I put a lot of thought and energy into making sure I had the physics as right as I could make them, and then wrote it up, had it reviewed, and posted it. Then this happened. I kinda lost it. The amazing science aside, I'd written an SCP and had something resembling it exist in real life within two days. Seriously? Then it got featured. This was basically the best possible scenario. I had more publicity than I could've imagined as a second-time SCP author. Frankly I had no idea that this was that original of a concept - I just thought it'd be fun. Apparently loads of other people did too. Seriously, thank you all so much. That said, there's pretty much zero chance I can top this. This one's a bit different. 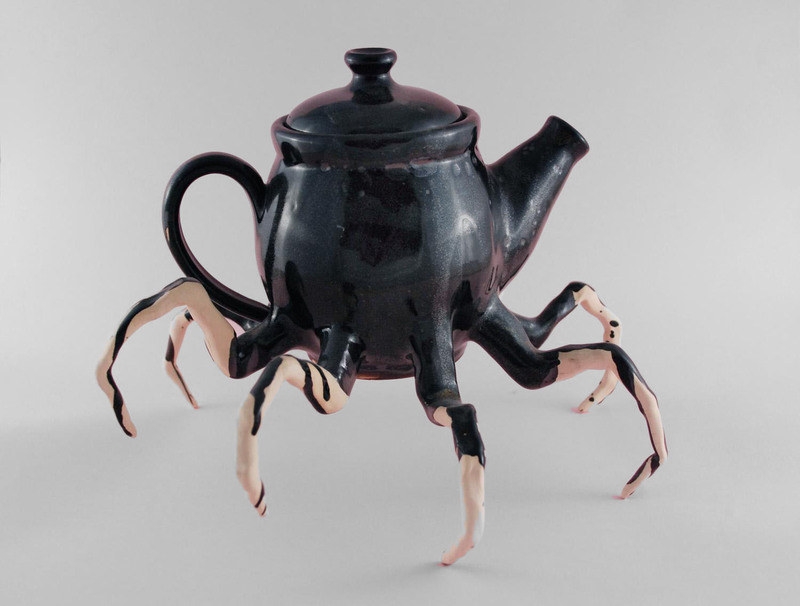 The page about the spidery teapot monster you see here started with just this image. An SCP fuel post on Reddit. I initially wanted to give it a compulsion effect, but those are lame, so I didn't. I also initially had a test log where somebody drank the portal fluid, and anything they ate or drank went into the pocket dimension and fed the skip instead of the Class D. I liked that log, but I couldn't work out why the hell the Foundation would have someone drink it, so I scrapped it. The concept of it cleverly trying to escape and making a pain in the rear of itself developed towards the end, and I could probably stand to add something there. Maybe eventually it'll get a rewrite. I dunno. There's really not all that much else to say, really. I had a concept for what this thing would do, and I rolled with it. It's not my best - but if you ask me it ain't bad. After the fact I discovered I needed to contact the creator for permission - which I did - which she granted - but really, I think I'd rather use CC Compliant images from now on. This skip didn't really work as well without an image, given it was all written based on that image, but in the future I'd probably want to avoid that. So my concept for this one followed up SCP-2597 by about a day. It started out as a wood screw, then a gyroscope, then a spinning top. I knew only vaguely that I wanted to push it in the direction of "there was a breach, and then a big part of the site got roasted." I considered implementing some work with the laws of thermodynamics being violated, take it in the same kind of direction that I took the aforementioned negative mass skip, but I decided against that for two reasons: First, because then it might get accused of being a bit of a copy and second, because I didn't actually understand Thermodynamics all that well. Whatever. Moving on. Anyway, it wasn't until later that I put it up for review - and promptly got zero critique. Two weeks later I put it up for review a second time - and promptly got zero critique. Then I sent it to Roget, who was awesome and gave me some awesome critique - that I promptly realized I couldn't implement because I didn't have the writing skill to do so. Sorry, Roget. This is, interestingly enough, my first SCP without a picture - which I was uncertain about, just because I find SCPs with pictures to be much more aesthetically pleasing, especially given that in-universe there shouldn't be much reason for the Foundation not to take a photo of any given skip. This one - I really wanted a picture of it, badly. I just couldn't find one that fit, that was also compliant with Foundation image policy. There was a really neat one I wanted to use, that was almost perfect, but it was a product and therefore copyrighted, and it messed with some of my formatting anyway. KIC 8462852, which experiences some seriously abnormal dips in brightness. Theories abound regarding whether or not it's comets, ice clouds, random dust - or aliens. This being SCP, my choice was pretty easy. Of course, I had to add stuff to it. The Shkadov Thruster was entirely my idea - the real system doesn't move. That said, the base concept of such a thruster isn't mine either - it's been used a couple times in science fiction and I stumbled across it on wikipedia. Temporal Sinks and the Peregrine missions originated in SCP-3200. Credit to weizhong for those concepts! I took those very cool things - FTL travel, Alien Megastructures, and a sail that moves star systems - and mishmashed them together into this thing. Then, as I was developing the idea, and establishing my characters and world, I was hit with one more concept - what if the aliens never invented any means of FTL, but knew about some catastrophe about to befall the galaxy. They would try to get out at all costs, spending enormous amounts of resources on a Shkadov Thruster. What if they took FTL from our humans? An alien race with almost unimaginably powerful tech, stealing something from us? And what could they possibly be scared of, when they can take command of a starship from 300 light years away, and build structures bigger than stars? That's where I started for this skip, and I'd like to think I executed it fairly well. Maybe it reads a bit like a Star Trek episode. If that's true, I refuse to acknowledge that that's a problem. This is kind of a weird one. I was suddenly struck once by the idea that nobody has ever, to my knowledge, ever tried to explain the mechanics of the SCP Mainlist from an in-universe perspective. This, of course, had to be fixed. This article was probably my hardest to write - because throughout I had to keep in mind how it worked and make sure there wasn't any tempting data embedded within it. This thought process eventually led me to the format screw - after all, if it breached containment you'd at least want this file to last as long as possible so you knew what was going on. Of course, out of universe, there is a deliberate reasoning to the order - and that is to try to tell a little bit of a story. It's not much, but I feel like the order in which I reveal certain things is what contributes most to this piece. It started out as some eldritch cognitohazard/antimeme thing, a la the Antimemetics Division stories, but I soon realized that it made more sense if it was just an anomalous computer virus with a particularly unusual targeting system. So that's where I took it, and it all went from there.